This customized Jones Plus bike went to a customer in Sunset, South Carolina. He originally contacted us about building a bikepacking/offroad adventure bike with plus size tires, Rohloff SPEEDHUB 500/14, and Gates Carbon Drive belt for riding dirt routes that he had picked out across the US. Surly's Pugsley is the bike that brought fatbiking to the masses. Although not the original fatbike, it was the first fatbike that was widely available and offered at a price that many riders could afford. Since then, it has been updated with different frame colors and build kits each year while sticking to the same basic design centered around four inch wide tires. 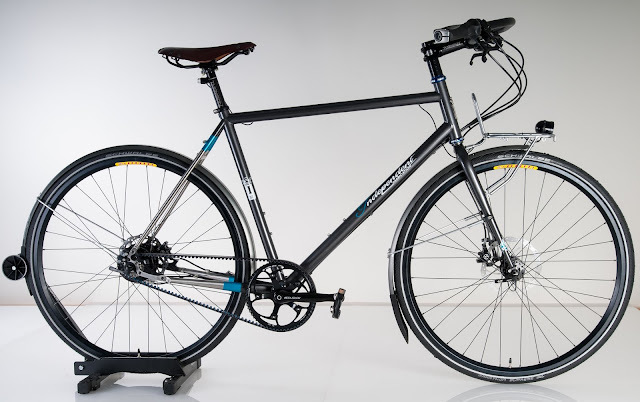 We built this Co-Motion Klatch as a fitness-oriented road bike for a customer who wanted a comfortable, reliable bike to tackle the many great road rides around his hometown of Santa Rosa, California. His priority was simply to ride often, and the bike needed to stay out of the bike shop and on the road as much as possible. He was looking for a sporty-feeling bike that would motivate him to enjoy the outdoors and stay in shape. Continuing our series of videos of how to service your Rohloff SPEEDHUB, our latest video explains the sprocket removal process. In this video, Neil walks you through how to remove and replace a worn sprocket or install a belt drive sprocket.We will soon release more how-to videos covering the topics of shifter/cable installation and shifter troubleshooting.We hope you find the videos helpful. Please contact us if you have any other questions or if you are interested in our SPEEDHUB overhaul services. Bike Friday built this frame for us to showcase at tradeshows as well as to offer to customers visiting our office wanting to test the Rohloff SPEEDHUB and Gates Carbon Drive drivetrain. Bike Friday hand builds each of their folding bikes to their customers’ specifications in their Eugene, Oregon workshop. Fatbikes are known for their wide tires’ ability to provide grip and traction in just about all trail conditions. We've built many of these bikes with Rohloff SPEEDHUB 500/14 gear hubs and several with a Gates Carbon Drive belt system as well, but how would a fatbike be improved if you added a suspension fork to the equation? 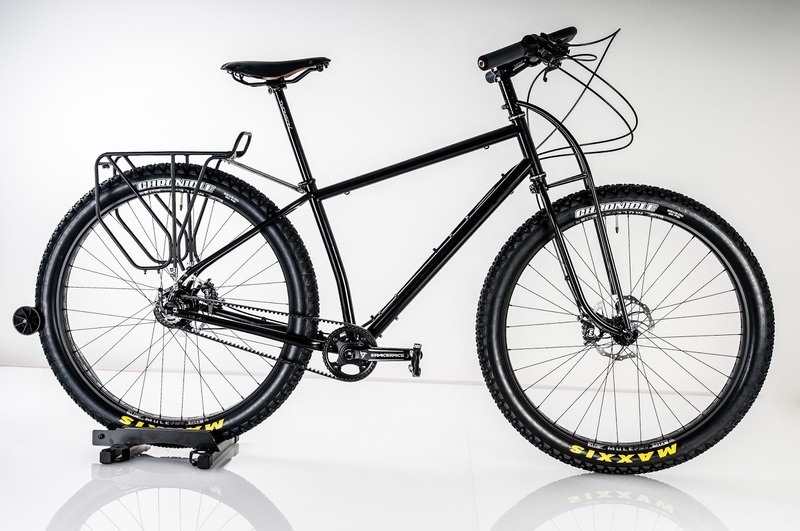 That was the question we intended to answer with this Surly Pugsley build.